Add dramatic effect to posters, signs and decorations. Great for school projects or any drawing or painting activity. Dries with a metallic finish. Includes: Silver, Pink, Purple, Blue, Green, Light Green, Copper and Gold. A bit about the brand: Fahion, vintage, ornate and exclusive designers are all part of the Papermania agenda. Providing a great quality range of cardmaking papers and accessories, they also carry matching ranges for continuity in you projects. 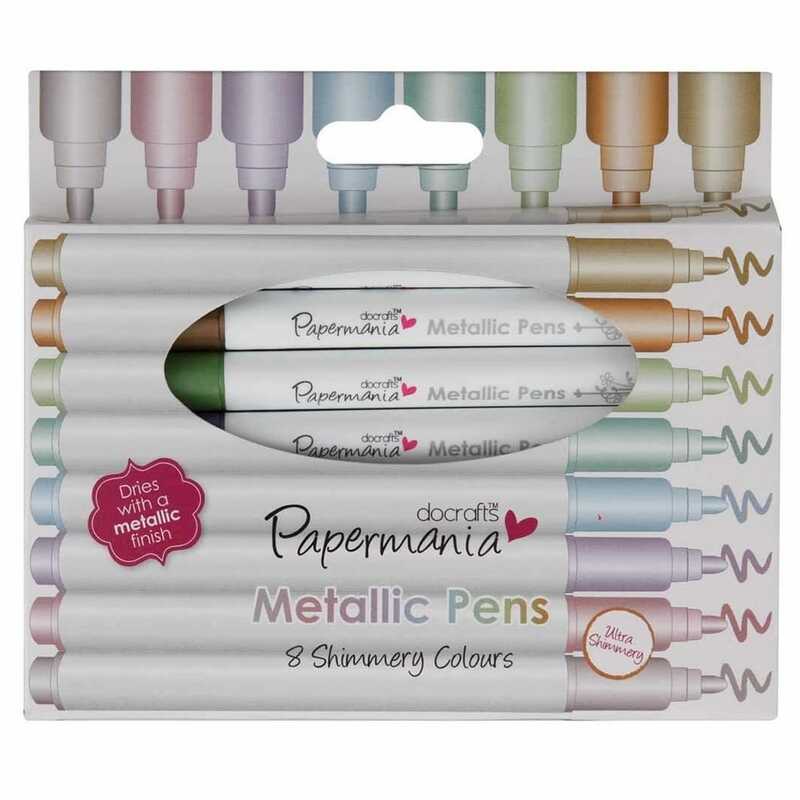 Showing 2 Papermania Metallic Pens 8 Shimmery Colours reviews. Average rating of Excellent. Would you like to write a review? Not used properly so I can’t say on longevity, however the pens look nice and have a hard tip so easy to use.